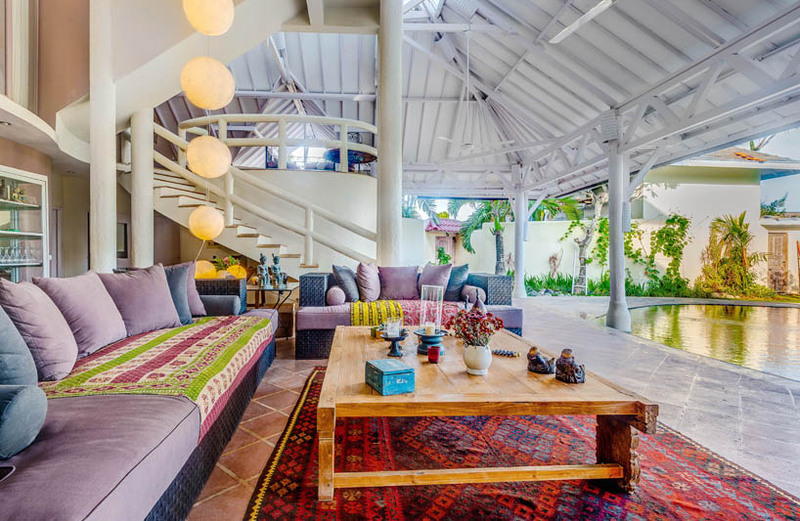 Villa Pintas is a large villa for rent in Bali, located in the heart of Seminyak, close to shops. 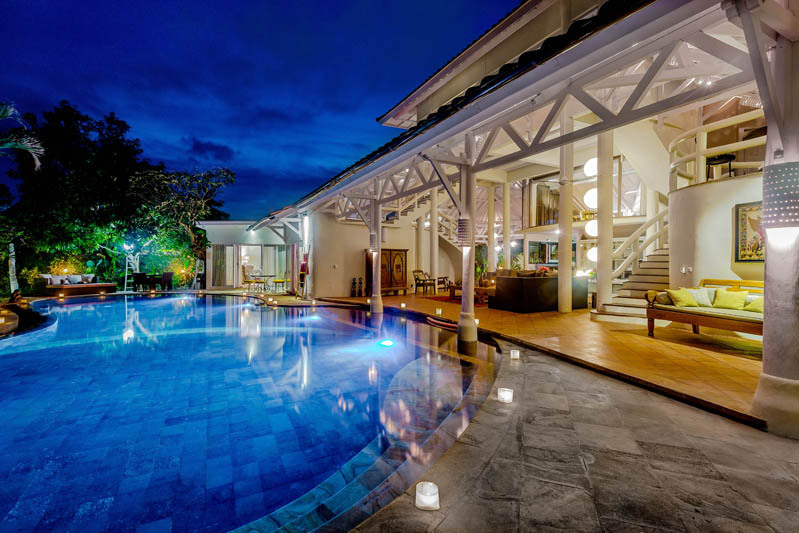 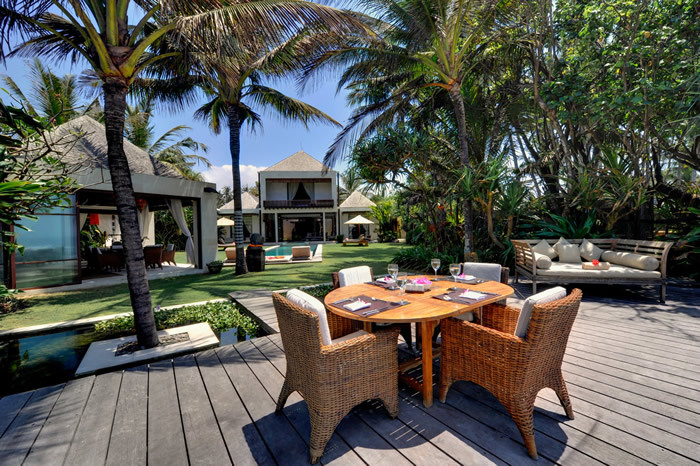 This villa in Bali can accommodate between 8 and 10 persons, and offers 5 luxurious rooms each. 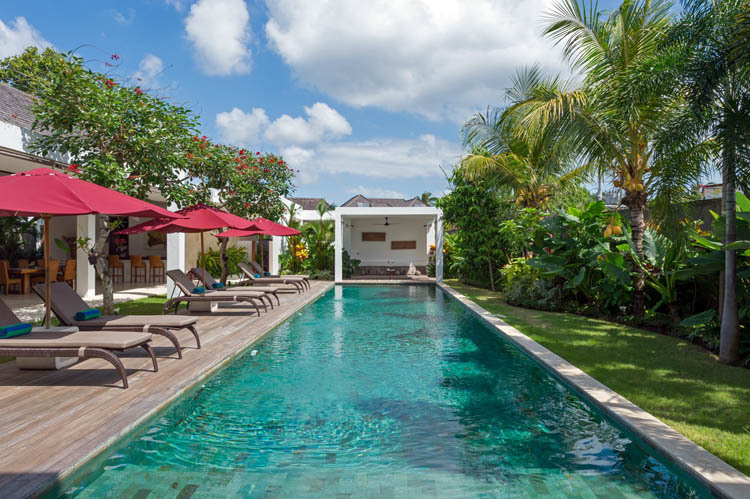 The pool is the center of attraction of the villa, it is also linked to a children's pool. 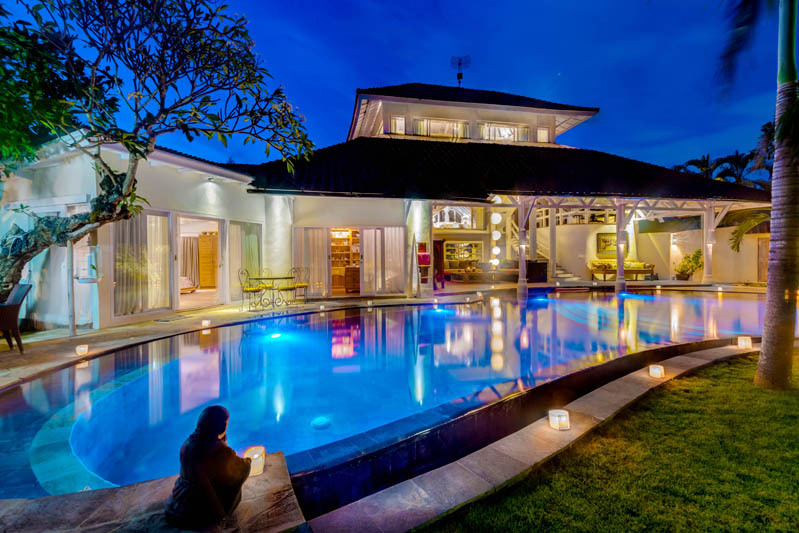 To pass perfect holidays in Bali, Villa Pintas is ideal for families or friends. 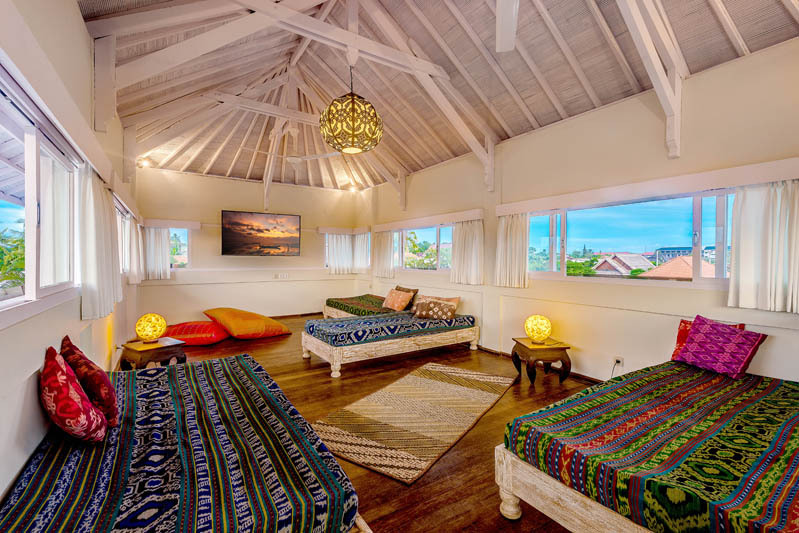 Four rooms consists of king size bed and have its own bathroom, and another bedroom is suitable for children with 4 single beds. 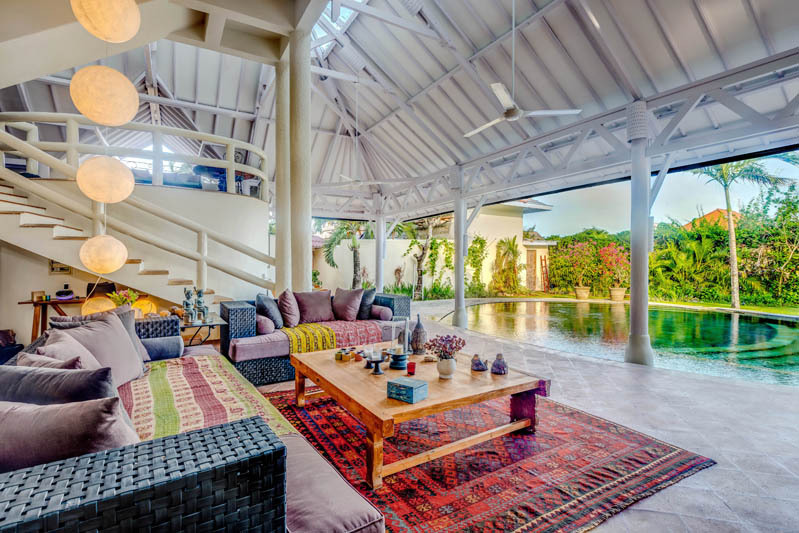 The layout is spacious, the decor is neutral, the feeling of serenity is present. 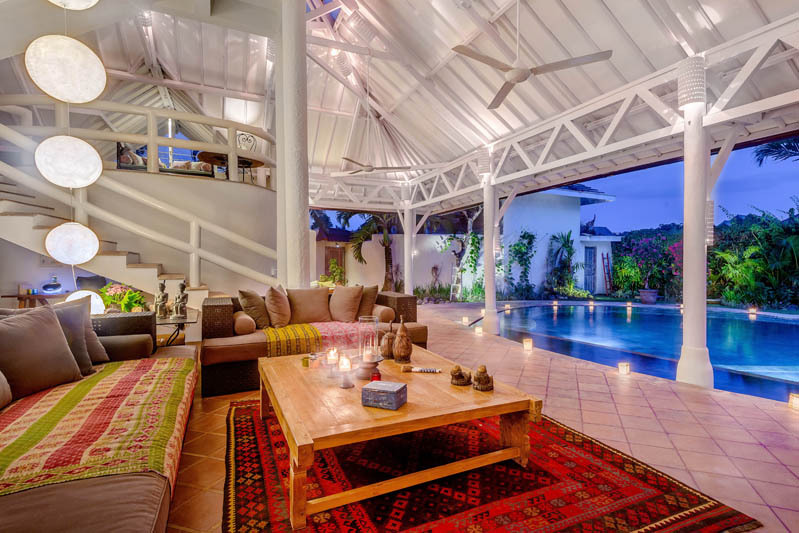 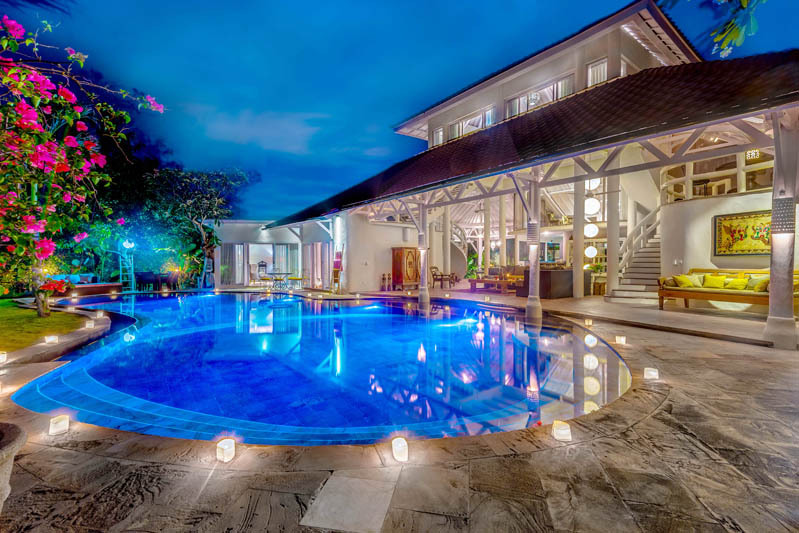 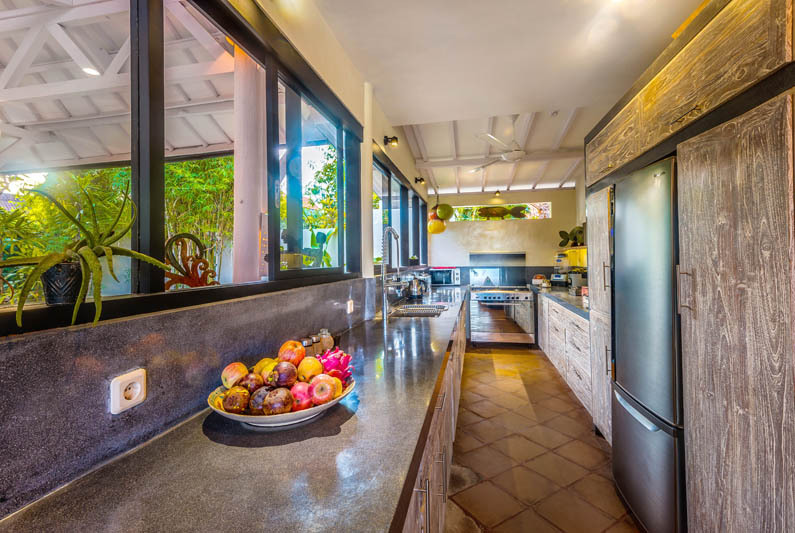 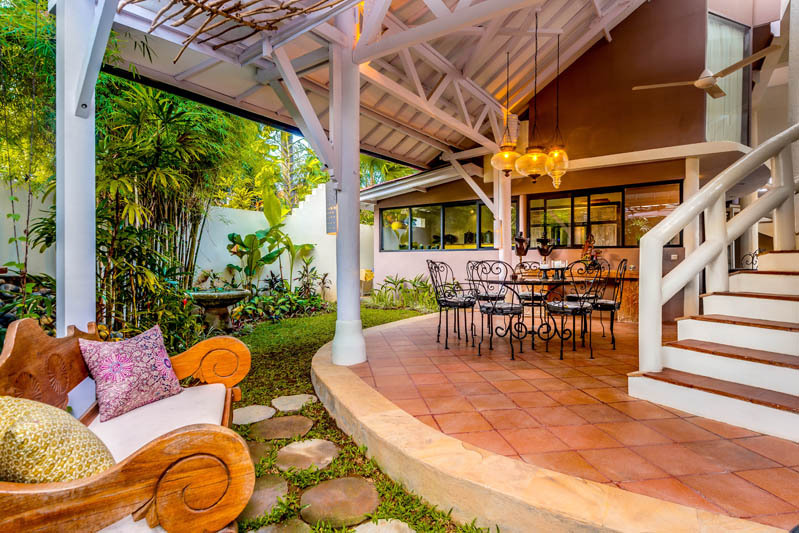 Rent this villa, you will have the particularity competent staff, the chef will cook up typical Indonesian and Western dishes (on request), cleaners will ensure that cleanliness is impeccable, a gardener will continue to look after the magnificent garden, and safety is paramount in this villa. 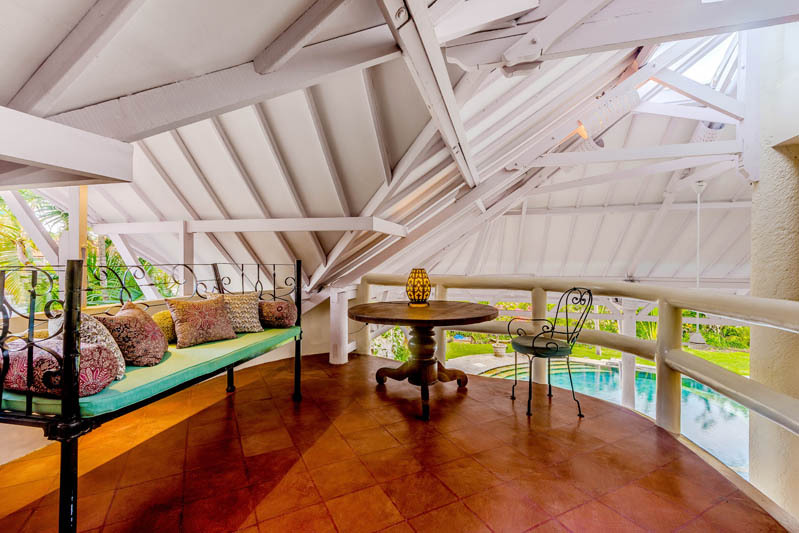 And with the support of Bali Je tâ��aime a Bali villa rentals, your stay is going to be wonderful and full of good memories. 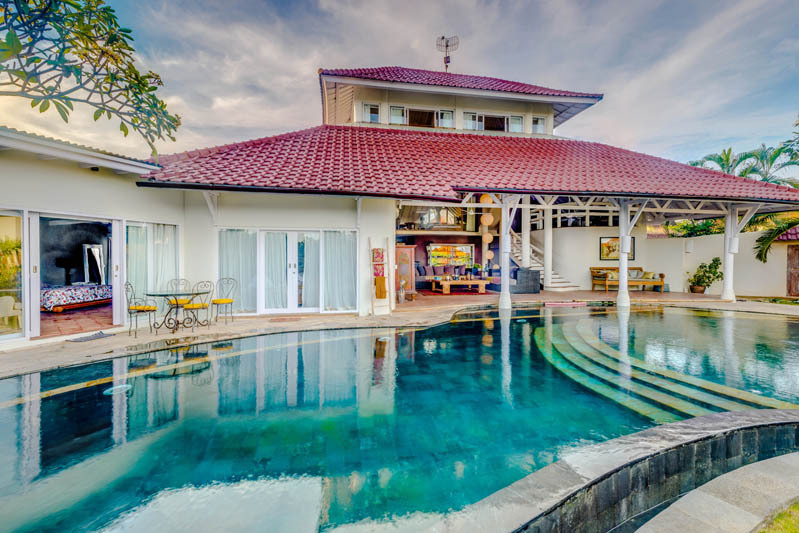 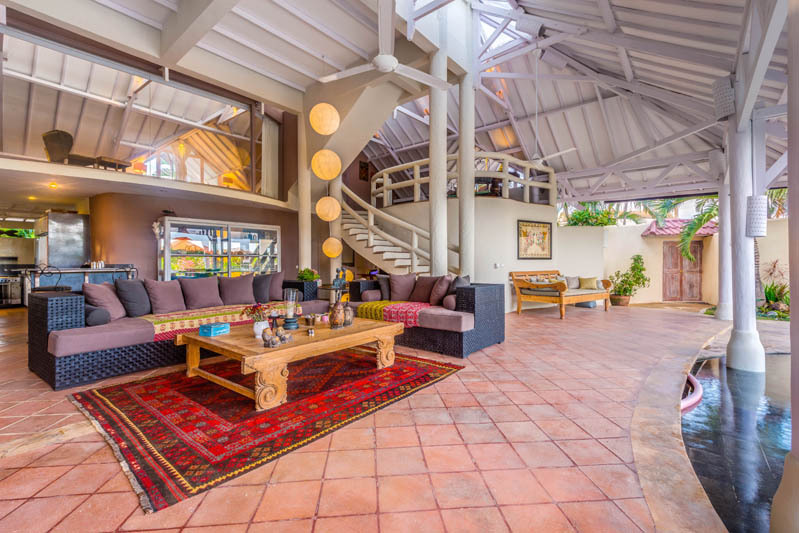 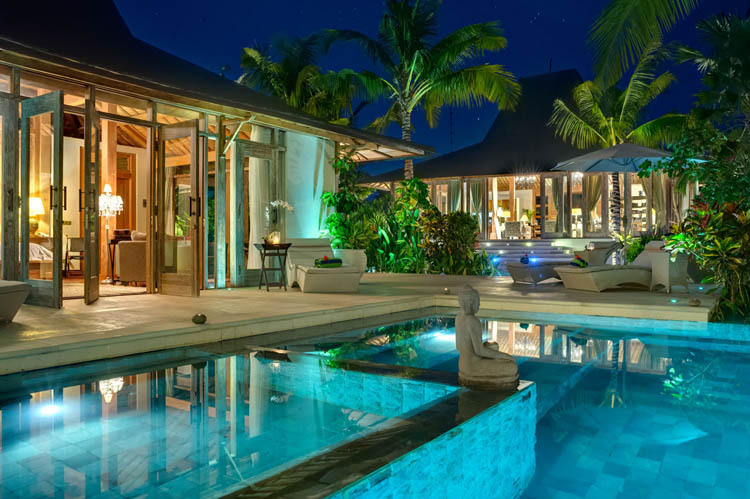 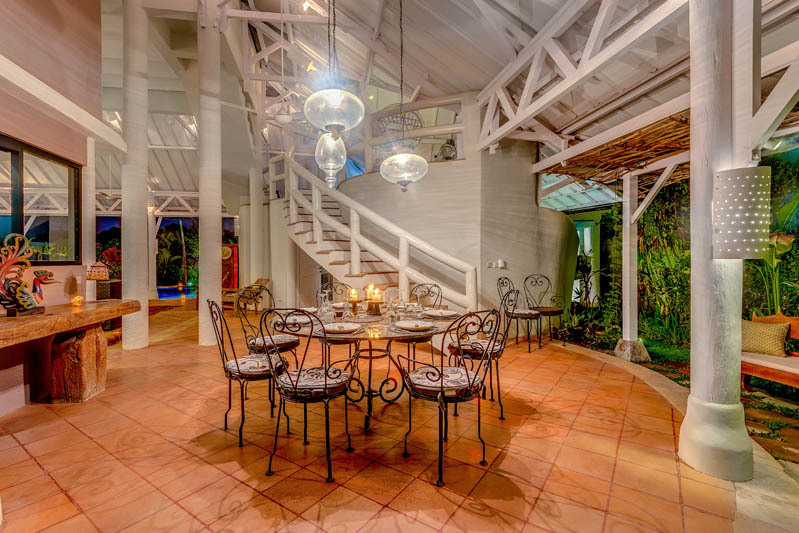 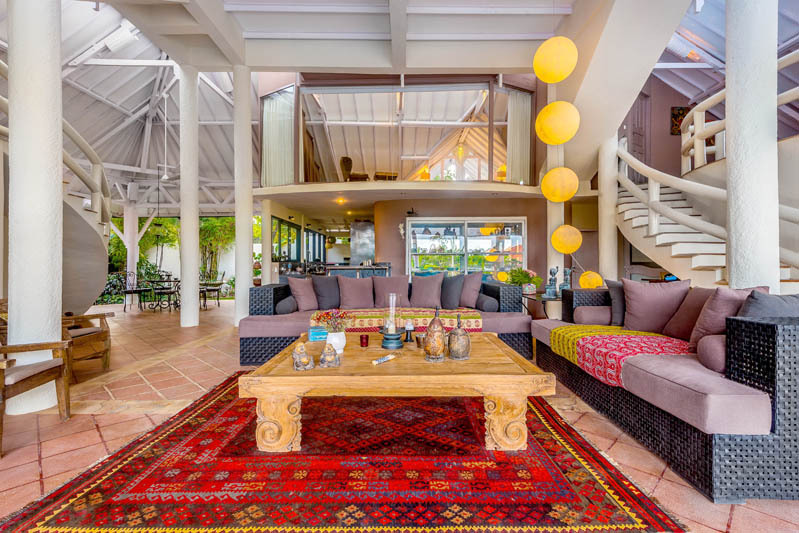 The house consists of a large dining room, a living room open to the outside and overlooking the pool, large kitchen and desk to work with family or friends. 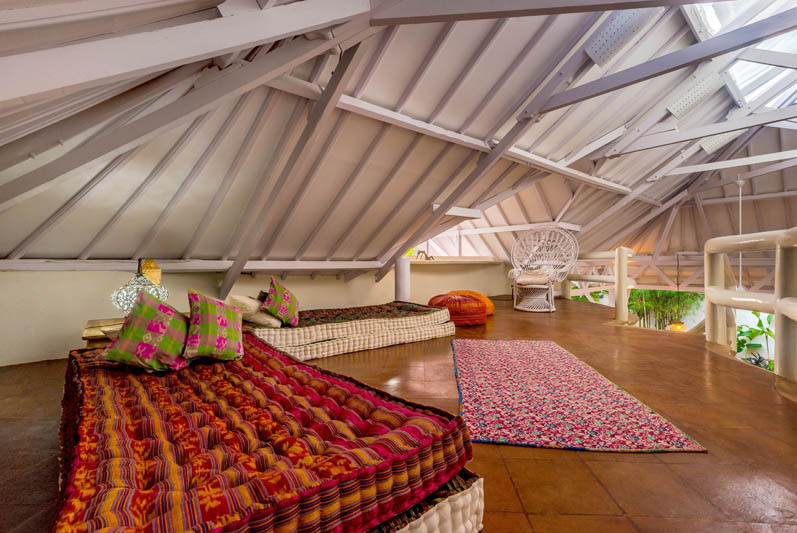 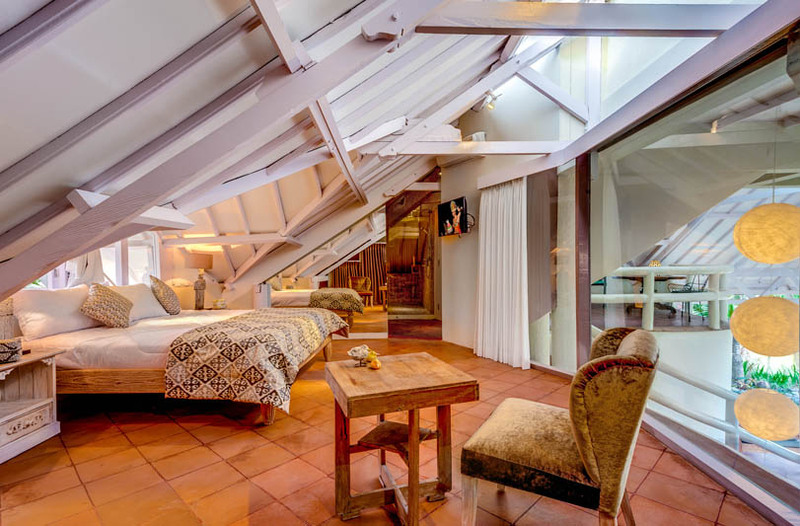 One of the rooms has a breathtaking view of the terrace and pool, and has a safe too. 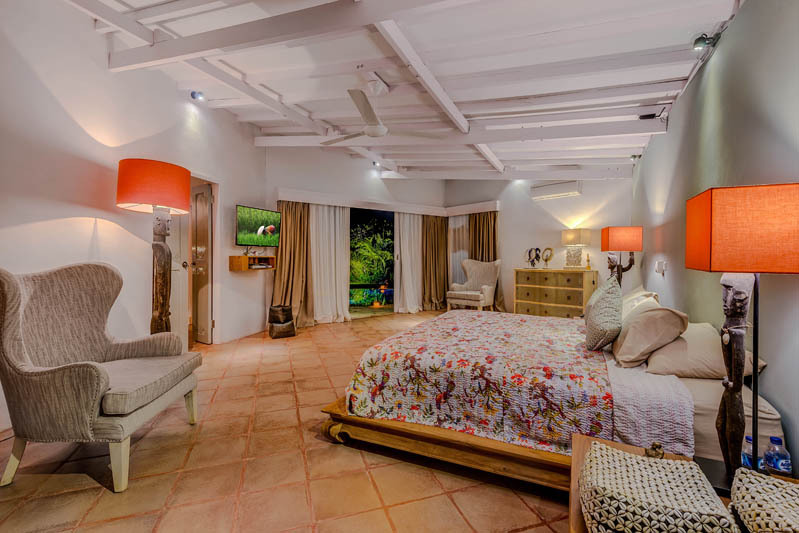 All rooms of the villa have air conditioning. 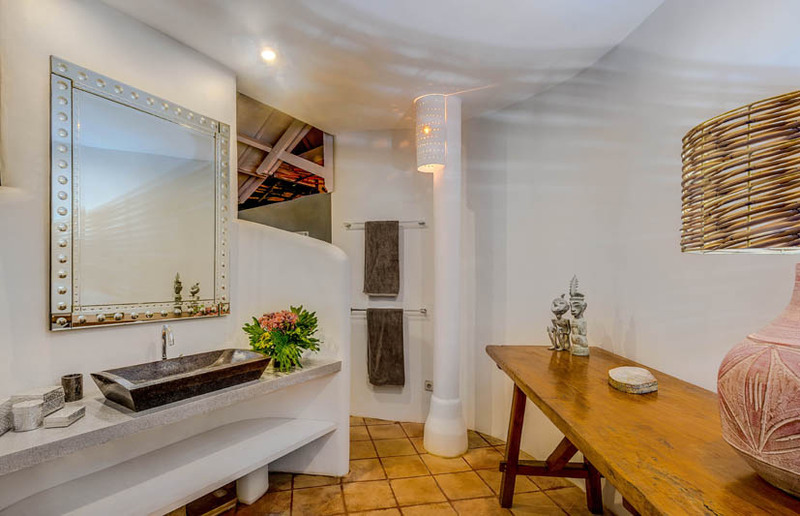 Moreover, Wi-Fi, televisions, iPod dock, the pool or the massage room allow you to share incredible moments in a soothing space. 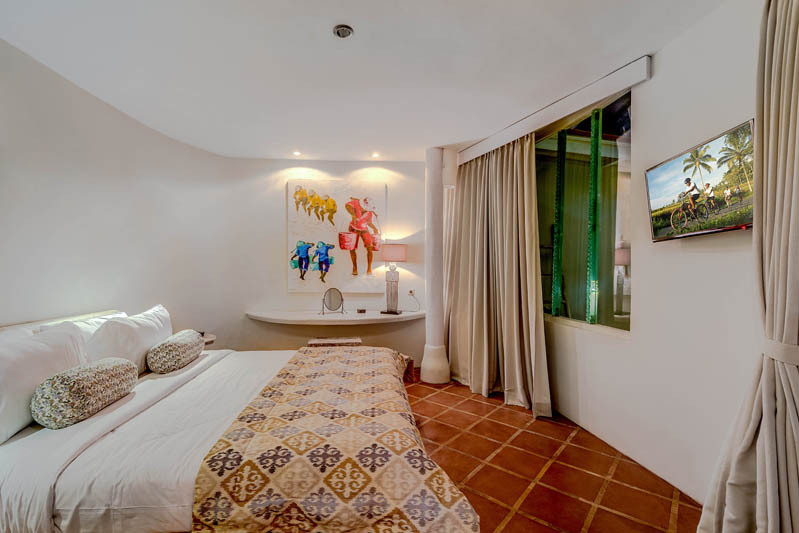 This location will allow you to relax in the pool, spend relaxing moments in its rooms or relaxing in a warm, welcoming space and luxurious. 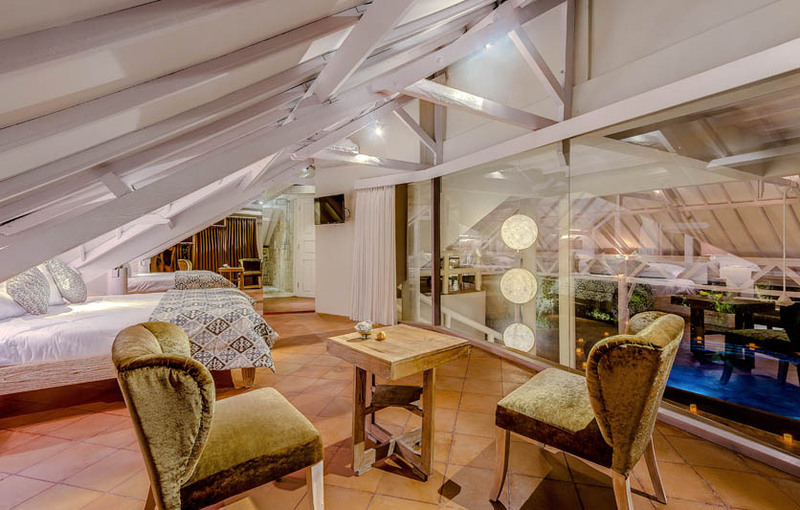 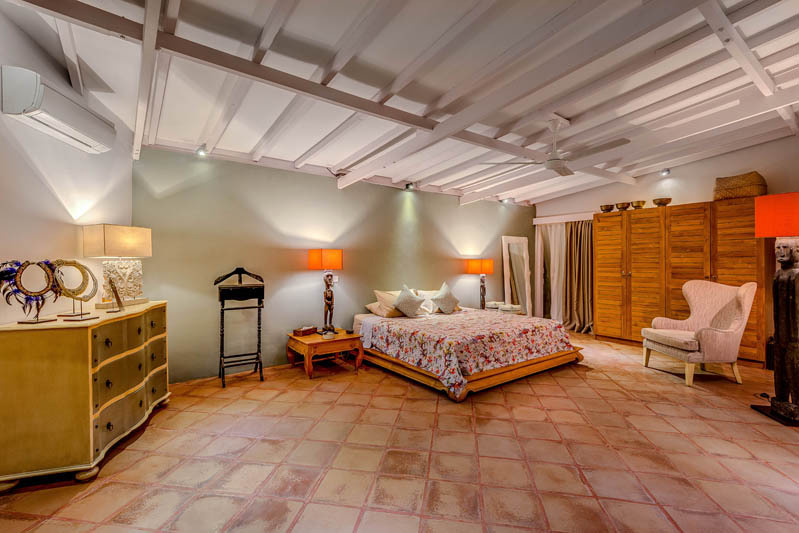 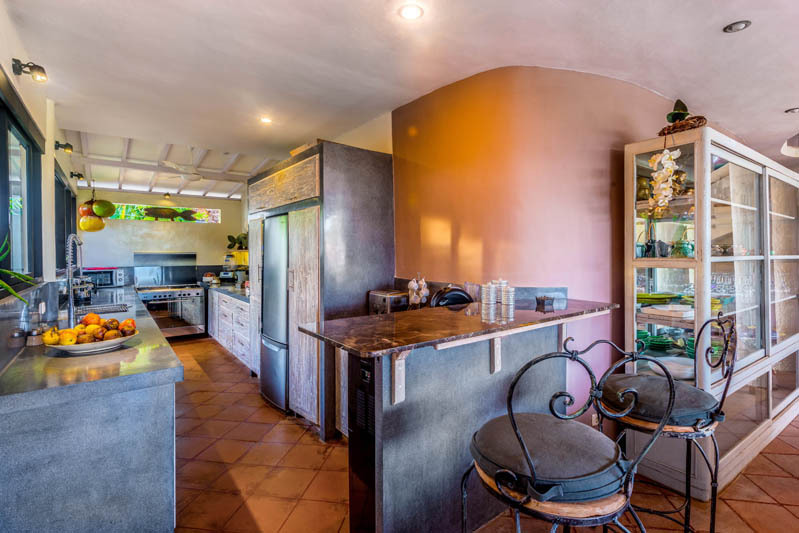 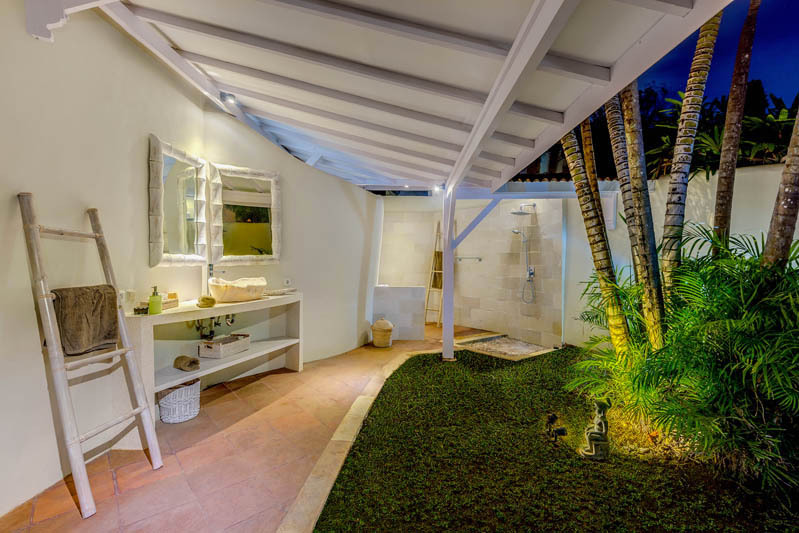 Vila Pintas will be perfect for you, your family or your friends. 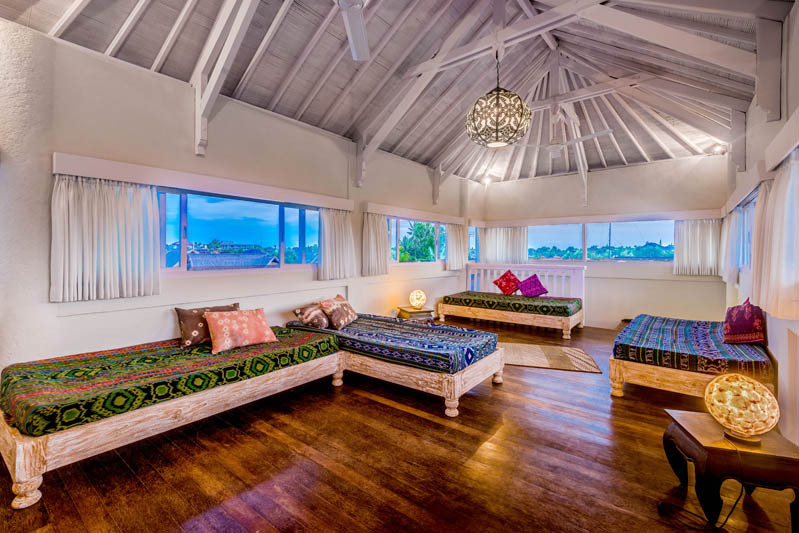 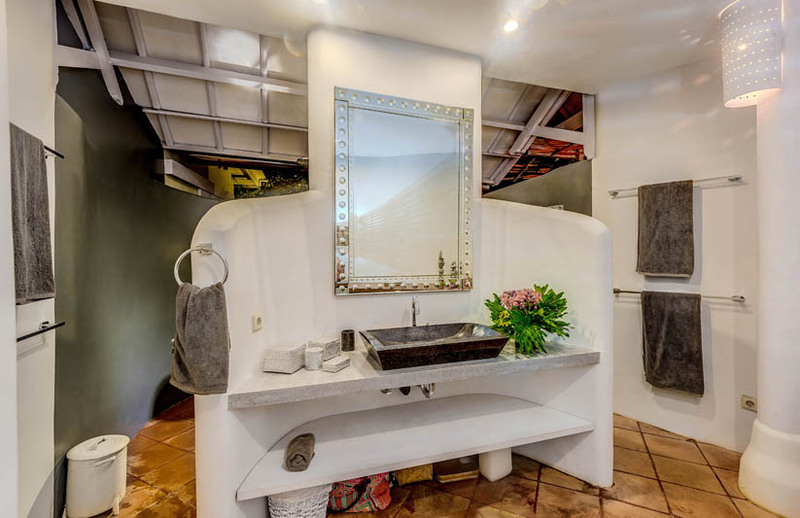 If you rent this house, the memories of your stay on the Island of Gods will be memorable.